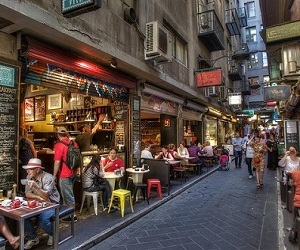 Victoria's peal real estate body says the Melbourne market still have plenty of fire left, despite recent figures showing there has been some slowing in the rate of capital growth. Over the September quarter, Melbourne’s median house price pushed past $700,000 for the first time and Real Estate Institute of Victoria (REIV) chief executive officer Enzo Raimondo said that has invigorated the market. "Melbourne’s buoyant property market has experienced one of the strongest starts to the traditional spring selling season on record,” Raimodo said. “We’ve seen super Saturday auction weekends recorded throughout August and September,” he said. While auction numbers have jumped, Raimondo said buyers haven’t been spooked by the number of properties hitting the market. “In September alone, there were more than 4400 auctions, and many more are scheduled in October,” he said. Melbourne is likely to benefit from that level of confidence, with Raimondo predicting further growth in the coming months. According to the REIV, Melbourne’s middle and outer suburbs are the city’s main growth drivers, with prices in those areas up 4.4% and 5.1% respectively over the quarter. Raimondo said this reflects the fact that more and more buyers are looking for affordable, larger homes.